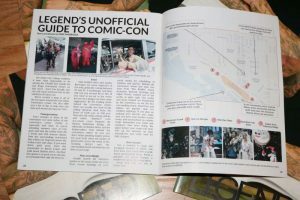 For many City College students, it may seem impossible to be among the other 130,000 fans inside the San Diego Convention Center on July 20-23 – do not fret though, you can still come and have fun outside of the Comic-Con. We’ve created a map to all of the hot-spots around the convention center. We also offer a list of tips to help save you time and money during your visit. Transportation – Do not attempt to drive in the immediate one mile radius of the convention center. Traffic is especially bad here. If you’re attending summer class at City, park and take the trolley from the C Street and 12th Avenue station. Note the surrounding red-dotted line within our map that shows the trolley route and stops. If you must drive; park away from the convention in Barrio Logan, and walk down Harbor Drive. Another fun option is to park across the bay in Coronado, then take the ferry in. Food – Take bottled water and snacks. Beverages are more expensive in the area and will generally cost between $3 to $5 . A hamburger and fries will run you around $8 or $10. If you want to eat-out at the venue but are on a budget; we have a couple of options. By the loading docks behind the convention center, there are usually two food trucks that sell Mexican food from the hours of 10:00 a.m. to 3:00 p.m. They also sell coffee, energy drinks, and water. “Paletero” carts (ice-cream carts) frequent the areas by the Harbor Pedestrian Bridge, the sidewalks on Harbor Drive, and the Embarcadero Park behind the convention center. In case you don’t mind spending higher prices for your food, there are plenty of great joints across the street in the Gaslamp district and the surrounding hotels (marked in red dots on our map). Plan accordingly – Google possible exclusive parties in the areas (some are free). Locate hashtags on your social media for scheduling of freebies and parties. Behind the convention center last year, two stars from the “The Hobbit” movie franchise, Richard Armitage and Elijah Woods, walked out of the yachts in plain sight. The yachts and boats behind are frequented by the celebrities, as are the five surrounding hotels. Hotel bars and lobbies are popular spots for celebrity sightings. If you plan on stalking your favorite star, make sure you have you marker or pen ready, and smart phone on camera mode. Remember your water and sunblock! One more thing, the night before your comic-con visit, free up the memory on your smartphone and make sure that it is fully charged. Do not forget – Use a medium to large sized backpack because it allows you to have your hands free to grab many promotional items. Bring a portable cell phone charger, a marker and pens (for autographs). Good luck and see you at the Comic-Con! 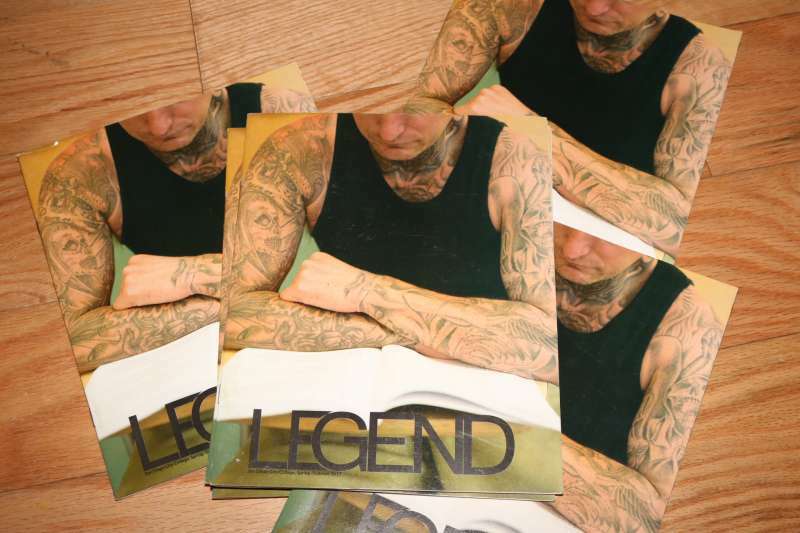 Legend is produced as a learning experience under San Diego City College’s Digital Journalism Program.